I remember when I was a kid and I got a helium balloon, I thought it was the coolest thing ever. Then, mylar balloons came out in the late 1970’s and that was definitely the coolest thing…. ever! In the 1980’s people were doing massive balloon releases at weddings and it looked so cool- all of those balloons going up at the same time! But, the 90’s hit with a eco-fervor (for me) and I started to ask “What happens to all this stuff after they land?” The answer is not good. 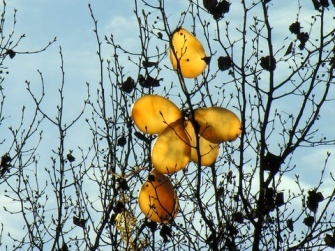 Maybe this is why balloon releases are out of fashion – for good reason. 1) Bad for the environment. Although it is true that latex is a natural resource coming from rubber trees, it takes a long time to break down into the environment and can cause a lot of damage ( to various species) during that time. 2) Mylar is metalicized polyester and even worse- it conducts electricity. No real good reason to take part in this debacle. 3) Helium shortage – True. There is only a limited supply of helium on this planet and once it’s gone…it’s gone. Unless you want to go to Pluto. 4) Allergies. In case you haven’t heard of this; there are people allergic to latex….. there are a lot of people allergic to latex. So many, that schools have signs stating that balloons are not permitted. 5) Chinese lanterns have the same impact, maybe worse. Release trained doves– There are reputable facilities around the country that offer the release of doves. These birds are trained to return to the facility; no matter where the birds are released they will fly back home. No harm is done to the birds or their wild relatives. Blowing bubbles– Blowing bubbles is always fun; watching them bounce around towards the sky and twist with the wind. It also requires you to exhale and breathe. 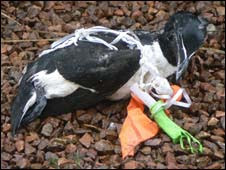 Although it is still perfectly legal and somewhat socially acceptable to release balloons, lanterns and other non-organic components into the environment in some areas, there are some cities and states that have already banned this activity. Think about it, do some research and decide if it is really worth it for you before you sign up for a balloon release. 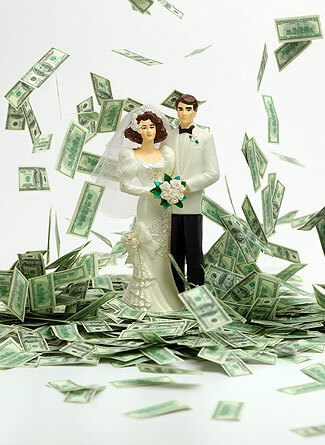 If you ever wondered what determines the cost of weddings… wonder no more! Here are the answers, broken down in a way that is easy for anyone to understand. Want to save some money and have your wedding in Naperville? The location won’t make that much of a difference, which is a big shock to me since I always thought that having a wedding in the city had to be more expensive than in the suburbs. Using several zip codes with varying demographics, the cost of any of these three weddings is within a thousand dollars of the average given the same number of guests and style of wedding. What does that mean? An extravagant wedding in Schaumburg costs about as much as an extravagant wedding in Chicago or Lake Forest or Oak Park or Burr Ridge. You will have to travel more than 75 miles from the city for the location to make any noticeable difference in price. What makes the biggest difference in the price? The extras; wedding planners, couture gowns and tuxedos, exceptional video, location photography, custom wedding rings, artistic cakes, extraordinary flowers, top notch musicians, anything that goes above and beyond. Oddly enough, one of the biggest factors that will affect your total cost is wedding favors! Thanks (in part) to Pinterest, DIY wedding are very popular. But, that’s not going to save you nearly as much as you think. Why? Because the same flowers that a florist could provide for $6,000 will cost you nearly as much in materials alone and if you add your time ( if your time is as valuable as mine) you have spent nearly double the amount. You will never get the same discount or special rate as a professional florist and you will never be able to do the same arrangements for the same cost. The same formula goes for musicians, photographers, invitations, bakeries, bridal ensemble accessories and so on. For the best DIY wedding, do only the simple things yourself; the add-ons, the small touches, table numbers, favors, etc. Tackling the big projects will leave you breathless and broke. In the end, the only real way to save money is to have a smaller affair. Inviting 75 guests rather than 150 will allow you to spend more on the things that are important to you and less on the overall (per person) package. If you have a few minutes and would like to play around with some numbers, here is a link to a simple, fun and fairly accurate wedding cost calculator that will give you an idea of what to expect in your area.